Assembla allows you to create personal and team ticket reports that you can customize and sort as desired. You can see Assembla's list of preconfigured filters in the Filter dropdown of your Tickets-List page. If you wish to create your own custom filter to be added to the list, just use the options in the drop-down menu to run a new report. To save the filter for future use, select Save selected filters as... at the bottom of the drop-down menu. 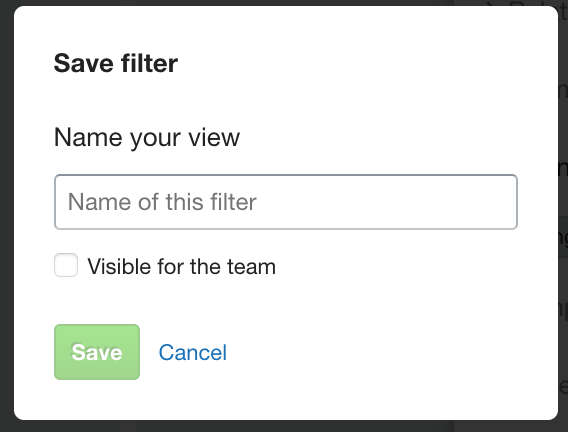 To save the filter, give it a name and check the box if you would like the filter to be visible to your entire team. 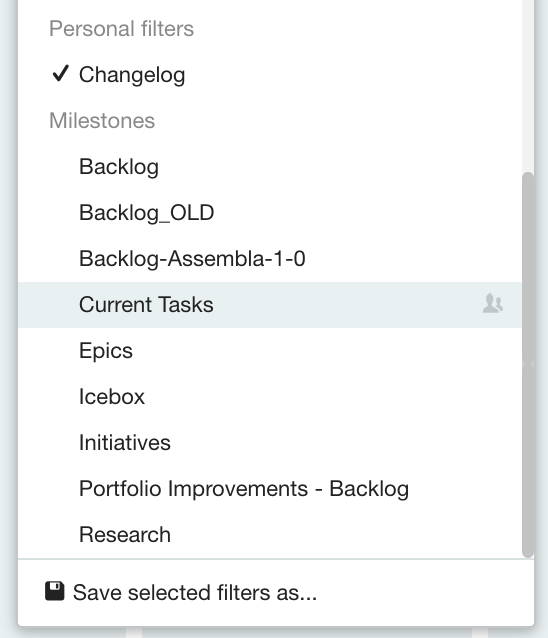 Now your new filter will be displayed in the Filter dropdown list to the left of the Filters button. Filters created by you will be displayed in the Personal filters section of the drop-down. If desired, you can set the new filter as the default ticket list, via the Tickets tool > Settings > Default Views. The Filter dropdown can also be used in the Cardwall.